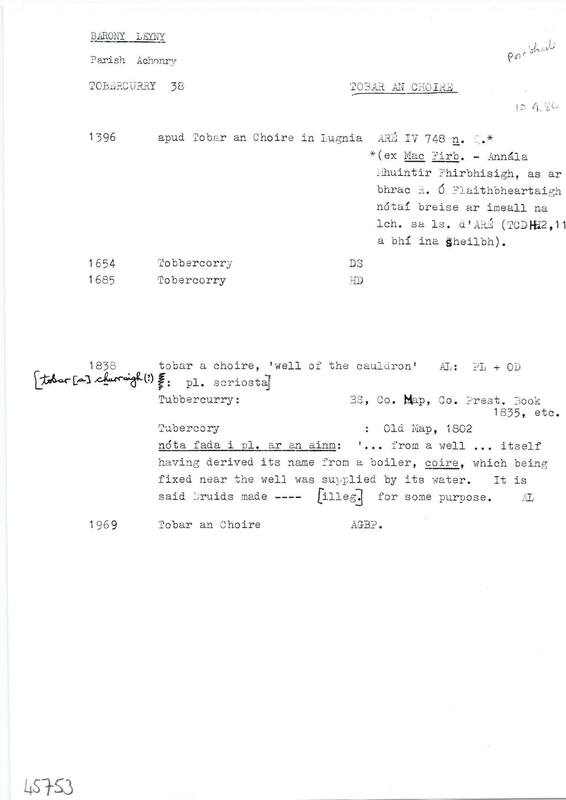 Has its name from a well which tradition says was formerly placed convenient to and was supplied by its waters, being used by Druids, hence it is called Tobar a Choire, i.e., Fons Lebetis. The property of Daniel Jones Esqr, P. Nolan Esqr & Mrs ODonnell ... The town or village of T.Curry built partly in 1756, a Church built 1833, & a Roman Catholick chapel built 1822, stands in this townland.